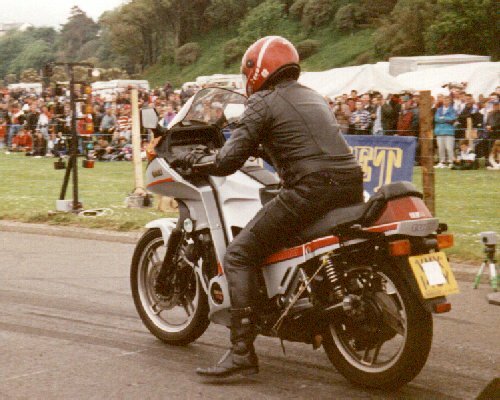 Nick Smith sent in these pictures of him riding his Yamaha Seca Turbo at the Isle Of Mann in 1998. 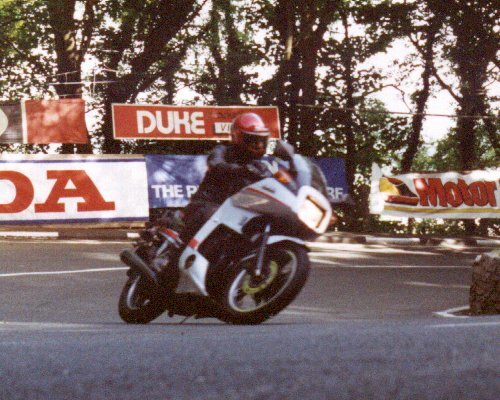 The action picture is of him rounding the "Gooseneck" on the Isle of Mann TT course. 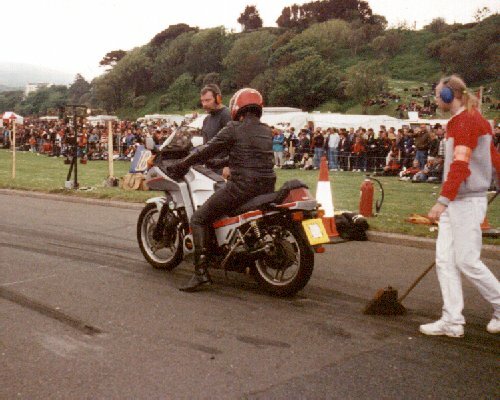 The other two pictures are of him launching off the line at the Ramsey Sprint.